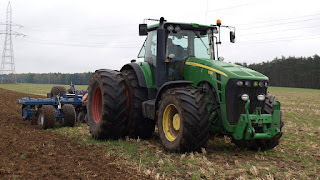 The Federal Government has concluded plans to import more tractors that will help its plans for agricultural growth in the country. The government has also commenced the training of 30 youths on tractor operations and maintenance. According to Dr Yomi Kasali, who is the Executive Director of the National Centre for Agricultural Mechanisation (NCAM), Ilorin, the institute had started the training programmes for the youths. State ministries of agriculture, Agricultural Development Projects (ADPs) and other stakeholders in the sector facilitated the training. The training modules, he said, would not just be for systemic operations of the modern tractors but also maintenance.